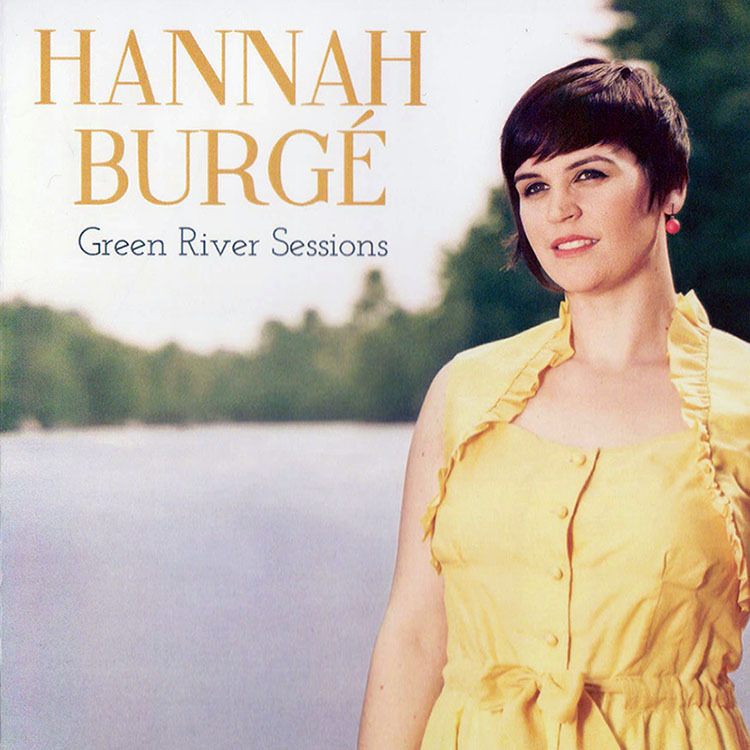 When Hannah Burgé played me the rough mixes of Green River Sessions, it was clear that I was witnessing compositional genius. When Hannah played me the final mixes before the album was mastered, I couldn’t help but grin from ear to ear. This album is a small victory for all of us who choose to listen critically to the art of song and musicianship. I love this record! I predict Hannah will rise up to become a star. One has only to listen to “I’m In,” a composition by Ms. Burgé, to really appreciate the seemingly effortless control of breath and lyrical line, float the text of tenderness and tranquility. It is here as well as elsewhere (in Nica’s Dream, for instance) Ms. Burgé provides a judiciously proportioned rendition, supportive and sensitive to the story-line of the song. There is also a sense that the singer inhabits the dramaturgy of the music as if it were created just for her voice and its vocalastics. Genre classification simply will not pigeonhole the remarkable Canadian vocalist Hannah Burgé, as clearly demonstrated in her extraordinary debut album Green River Sessions on Music Village Records. With such an auspicious debut, we’re hoping Hannah Burgé will not wait long for her follow-up record. ..A charming mix of contemporary jazz and world music styles, sung and played in superb fashion. I’m thrilled to have received this review from Raul da Gama, of Latin Jazz Network for my new record, Green River Sessions! When I was fourteen, I met an incredible woman. I’m in Pittsburg with a bunch of ethnomusicologists for the annual Society of Ethnomusicology conference.